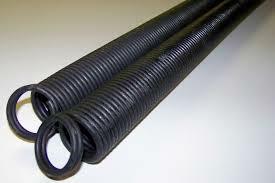 If you worry about the condition of your torsion spring, the simplest method to deal with a potential problem is to call Garage Door Springs Edmonton. Springs are too significant and too dangerous to leave them unmaintained for long but then again the professionals of our company are available for any emergency repair, too. We can guarantee 24 hour response for spring repair making sure each citizen in Edmonton is completely safe and each garage door in Alberta in perfect shape. We are experts in garage door spring replacement whether it is broken or you need to change it to support the weight of a new panel. Springs should be changed in due time in order to avoid accidents and major issues and our professionals are equipped and fully trained to carry out every necessary service. Extension springs go in pairs because they need to elevate the door equally on both sides. When one of them is damaged, we change both for better equilibrium and operation of the system. In any case, any problem related to springs can cause significant problems and injuries and Garage Door Springs Edmonton would advise you to maintain them often. All our technicians are fully qualified and trained to complete each garage door spring repair carefully and efficiently and are equipped with the best products for their right lubrication. We have full knowledge of the dangers and despite our extensive field experience, we still approach them with extreme caution in order to protect your property from damages. You can trust our experience and excellent work and you should report each problem immediately.